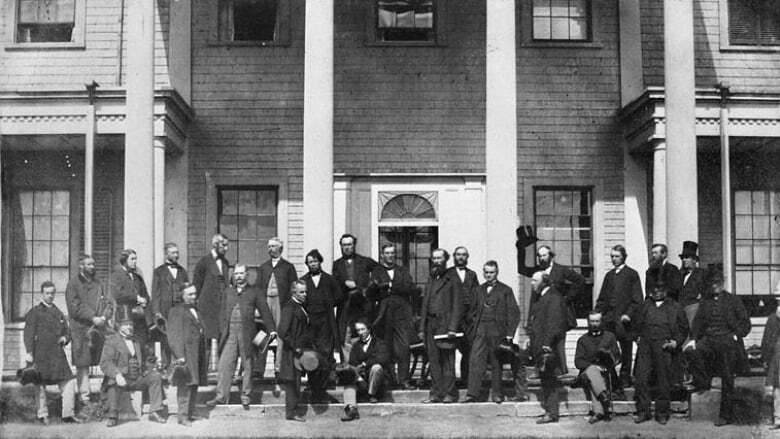 Canada’s founding fathers at Charlottetown. It wasn’t long after this picture was taken that a bribery scandal took down the first government. Ah, how far from the tree the fruit has not fallen. This week in Canadian history, April 2, 1873: the Pacific Scandal erupts. Our very first political scandal! Sir John A. Macdonald’s government is accused by the Liberal opposition and the media of having accepted $350,000 (worth over $10 million today) from Montréal entrepreneur Hugh Allan in exchange for the contract to build the transcontinental railway (CPR). Caught taking bribes, Sir John A. Macdonald’s Conservative government will have no choice but to resign on October 23, 1873. Sproutly Canada, Inc. (CSE: SPR) has received a processing licence from Health Canada. “We are making steady progress towards achieving Sproutly’s mission of delivering a safe and consistent whole plant experience from cannabis,with a lead position in the beverage market,” said Keith Dolo, CEO &Director. Pacific Rim Cobalt Corp. (CSE: BOLT) announce results from its ongoing 2019 drilling program at its flagship Cyclops, nickel/cobalt development project in Indonesia. Drilling continues to confirm shallow intersections from surface with elevated cobalt up to 0.25% in the limonite zone and nickel values of 1.91% in the underlying transition and saprolite zones. A total of 29 holes for a total of 402 metres have now been completed. Sixty North Gold Mining Ltd. (CSE:SXTY) announce that Geotech Ltd. has completed a 135 km helicopter-borne survey across the Mon Property. This system was selected to trace the outcropping Ag, Au, Pb, Zn enriched mineralization recently discovered on the property. The final report is expected to take 4 to 6 weeks to complete, however the initial results are promising. CENTR Brands Corp. (CSE: CNTR) has completed the acquisition of all of the outstanding share capital of CBD Lifestyle Corp.
CBDL is involved in the development and marketing of beverages infused with hemp-derived extracts and derivatives and is focused on the creation and launch of a global brand for the cannabidiol infused beverage industry. CBDL’s first product, CENTR, is a sparkling, low-calorie, CBD beverage that is expected to launch in the US in 2019. DNI Metals Inc. (DNI: CSE) announce the results of its initial NI 43-101 for its Vohitsara Graphite deposit in Madagascar. Go Cobalt Mining Corp. (CSE:GOCO) announce completion of a gravity inversion on the Monster IOCG Project in the Yukon. NanoSphere Health Sciences Inc. (CSE: NSHS) announce its Evolve cannabis products will be available for purchase in California. NanoSerum is a transdermal serum that immediately penetrates the skin to deliver direct-focused relief from pain, inflammation, and anxiety. The serum is able to easily pass through the skin due to NanoSphere’s patented nanoparticle technology. Their Evolve Formula NanoSerum is expected to hit store shelves in the Los Angeles area by April 8th. Global Blockchain Mining Corp. (CSE: FORK) announce that following the completion of the crowd sale for the AMR crypto asset, it has entered into a letter of agreement with AmmbrTech, Inc. in which FORK will invest its holdings of AMR tokens into Ammbr Telecom Inc., which will be deploying Ammbr wireless mesh network technology in northern Canada. There will be a primary business focus on servicing the natural resource industry (e.g. mining exploration, oil and gas, forestry), though Ammbr Telecom will also be working actively with disadvantaged and low-income communities, to avail internet connectivity to them. Wayland Group (CSE:WAYL) announce that the Company has been selected by the German Federal Institute for Drugs and Medical Devices to begin domestic production of medical cannabis for the rapidly growing German patient population. The Company is one of three groups that have been selected and is subject to a review period, after which a final decision will be made no earlier than April 17th. First Energy Metals Ltd.(CSE: FE) has completed Phase 1 Drill Program at its Phyllis Cobalt Property in Ontario. A total of twenty-eight samples were taken from the core for cobalt-nickel-copper analysis. These samples were submitted to Activation Laboratories in Thunder Bay, and the results will be released as soon as available. Chemesis International Inc. (CSE: CSI) announces it subsidiary Natural Ventures has been awarded best topical, best tincture, and best vaporizer at a gala held in Puerto Rico that recognizes industry leaders. The gala was held by the Free Juana Foundation,a non-profit organization dedicated to the education and responsible use of cannabis and its medicinal benefits. The group helps bring together experts and policy makers to help shape regulations in Puerto Rico. SOL Global Investments Corp. (CSE:SOL) intends to spin off its wholly-owned subsidiary, Scythian Biosciences Inc. into an independent, publicly-traded company. Upon closing of the spin-off, which is expected to occur on or before September 30, SOL shareholders will own shares of both companies. 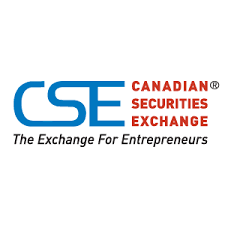 Yet another interesting week at the CSE, as the composite index continues to perform well, opening at 890.19, to close the week at 913.81. We try to keep a northern focus here, after all it’s the Canadian Securities Exchange, but some stories south of our border are just too big not creep in. When Trump nominated Stephen Moore and Herman Cain to the Federal Reserve board of governors, a lot of jaws dropped. You give your friends, backers and cronies an ambassadorship, maybe, but the US Fed? This is a powerful position that can move entire markets, ours included, with just a couple of ill-timed words. Wall Street pretty much universally panned the move and we’re waiting to see how it all shakes out. The one fact we do know is that now is a good time to be invested in Canadian stocks – we’re not wholly insulated from the shenanigans down south, but we’re a good distance from the instability that might very well be coming their way.